The making of Tangerine is a story about the rarity of the planets aligning — for the actors, the filmmaker and the startup company, Moondog Labs, now dealing with a heavy demand for the adapter lens Baker used. To make Tangerine, his fifth feature film, Baker used two iPhone 5s’s, one 32G and one 64G. He used steadicam riggings because the light weight of the iPhone can pick up even the slightest shake. Most of the film was shot on the go, including scenes shot from the back of a moving motor scooter. A third camera was purchased but never used because it produced grainier video than the other two, Baker said. The app he used, Filmic Pro, allowed for a high-quality compression rate and shooting at 24 frames per second. With all the filming done by Baker and his cinematographer, Radium Cheung, shooting was interrupted only once because of full memory on the phone. But the component Baker said made it possible for him to make the film and achieve a look he wanted was a $160 anamorphic adapter lens for the iPhone made by Rochester, New York-based Moondog Labs. Anamorphic lenses allow filmmakers to achieve a wide-screen look on 35 mm film. The lenses can cost thousands of dollars for motion picture cameras, though the cost barrier was significantly lowered for filmmakers when more affordable lenses were made for DSLR cameras that shoot video. 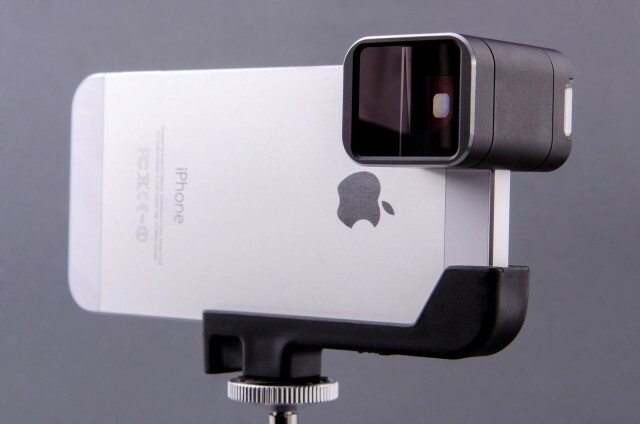 Moondog Labs was in the middle of a Kickstarter campaign when Baker inquired about their adapter lens for the iPhone. The footage got a heavy-handed treatment in post-production, with increased color saturation and the addition of a digital grain to give it the look of film. The cameras were the least expensive part of his small budget. Baker put more money toward a professional sound technician, actors, music and fees to shoot at more locations. Baker and his team did not reveal the movie was shot on the iPhone, allowing the credits at the premier to break the news. The exposure at Sundance has already paid off for Baker. Tangerine’s subject matter intersects with a time where transgender issues figure prominently in popular culture and politics. Magnolia Pictures, one of the most important distributors of arthouse, foreign and independent films, picked up the film after Sundance and will release Tangerine to theaters sometime this year. 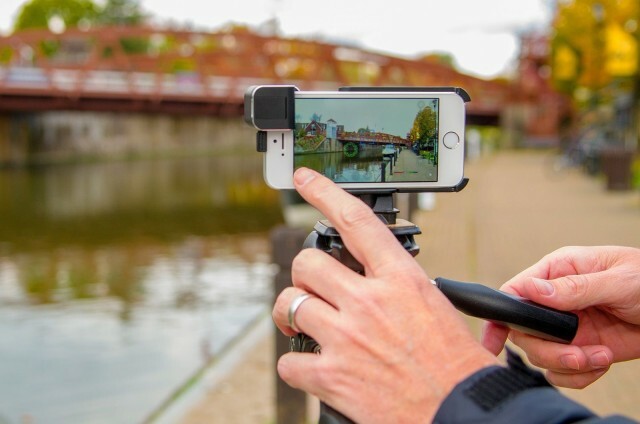 Moondog Labs, meanwhile, hopes to fill back orders by March as the company stands poised to develop other products for mobile filmmaking, including a new anamorphic adapter that is compatible with the iPro lens system. Just don’t count on Baker doing it again. He is grateful for what he was able to achieve with Tangerine. He is asked about iPhone filmmaking and his work flow all the time, fielding requests from technology groups and film schools to speak. But like his contemporaries, he said he is mourning the “death of celluloid,” and is even “pissed off” about it. He wants his next project to be with A-list actors and a budget that allows him to shoot on film. Baker needs this if he’s going to make a sustainable living as a filmmaker and fund the kind of independent projects for which he has won acclaim (Variety recently named him one of 10 filmmakers to watch). He figures he has a six-month window to review his options before the Tangerine buzz begins to fade.